who died June 6th 1930. Aged 67 years. 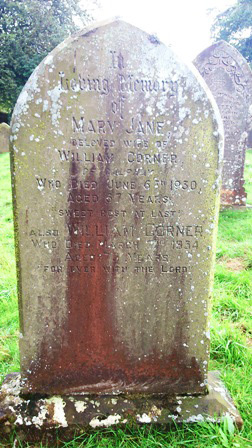 Also William Corner who died March 2nd 1934. Aged 73 years. For ever with the Lord.